Syntorial by Audible Genius is a Mobile Audio App. 33 "On Your Own" tasks. Program the sounds they hear. 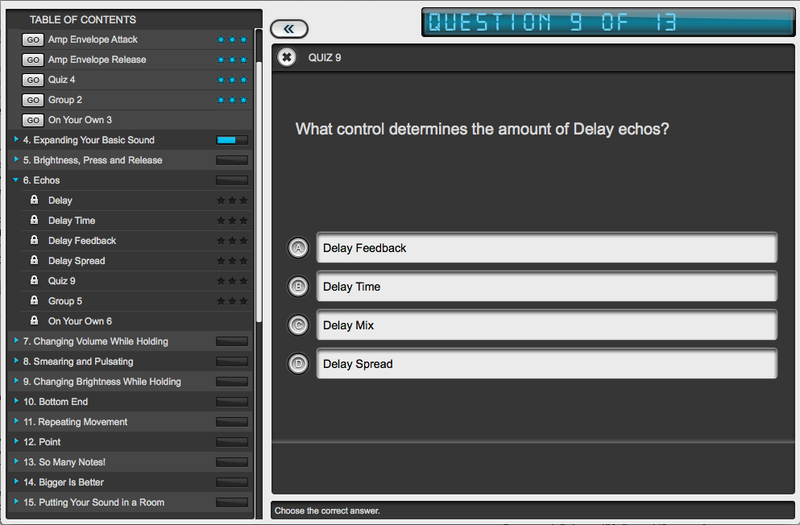 Get a deep, intuitive understanding of the most common synth parameters. 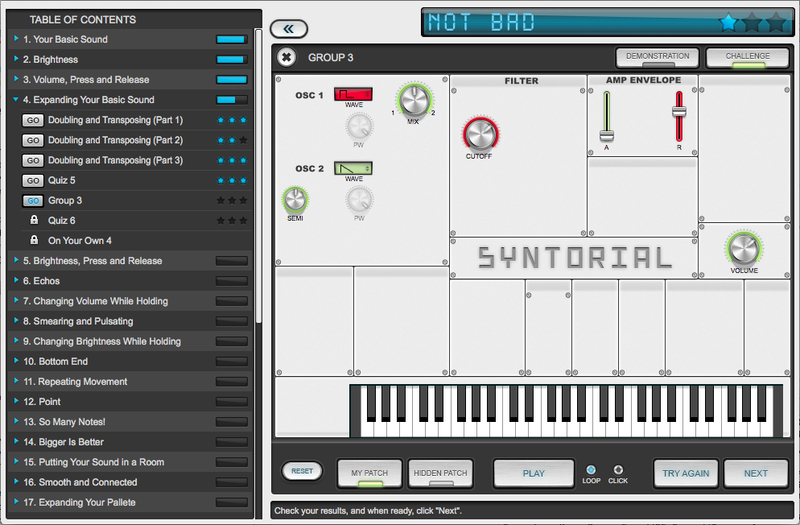 I have owned Syntorial now for about a year and it has taught me lots about sound design. 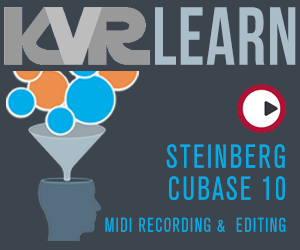 The video modules are short and easy to understand and the sound design tasks build upon the previous lessons. There is lots of repetition for each new chapter so you get a good feel for what the controls do. Ever since the release of the ipad app, I have spent more and more time with Syntorial (e.g. bus, train, plane rides). I haven't finished the entire course yet but I find myself doing small tasks here and there. Before I started, I had some knowledge of syntheses i.e - basic ADSP and envelope understanding and could design some basic sounds but mainly it was alot of luck on my part to get the sound I wanted to design. Now I feel like I know how to roughly get the sound I want. The fine tuning still needs work but its been a great learning process. Its also been great to learn about how certain effects work and what the controls do (e.g. delay, reverb). 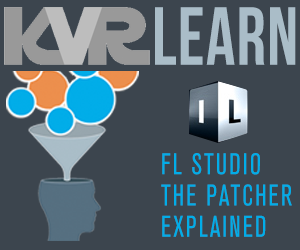 This has helped me to better use VST effects and to know when and why one would use them. 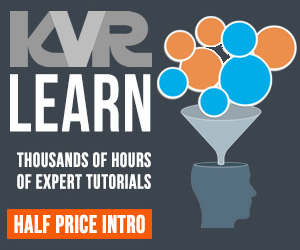 Overall I would definitely recommend this to anyone wanting to improve their sound design skills. Joe is great at replying to emails and listening to suggestions. I would love to see other modules added in the future, such as FM, wavetable. Fantastic idea! I learned much about (analog) synthesis and sound programming reading books. But trying to get close to a hidden soundpatch only by ears is a new experience. 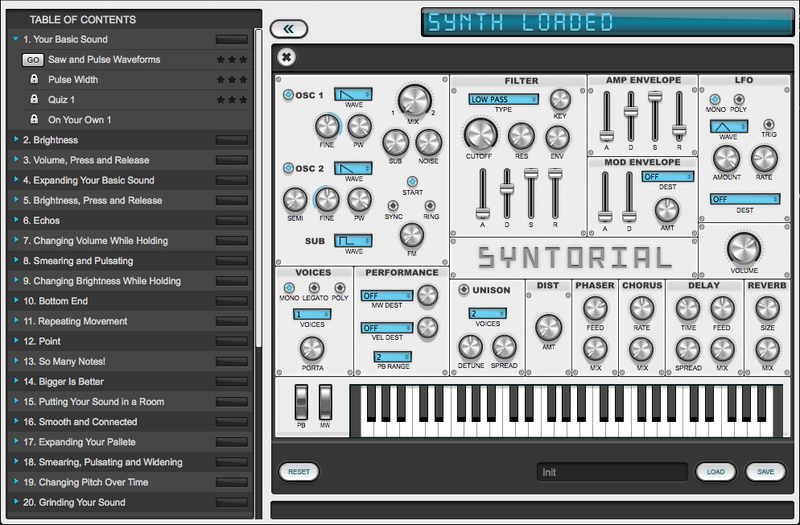 The progressive way and how only the needed modules appear in the synth is just superb. The Program window with integrated videos and challenges and the clear GUI makes it easy to work with it from the first click. It's fully worth the money for this excellent work. Fantastic concept. Fantastic software. Fantastic support. Whatever hesitation I had about the initial purchase now makes me chuckle. Any plans to port Syntorial to iPad? 1 1/2 years later I'm just now noticing this post! Coincidentally we just released the iPad version today! Just search "Syntorial" in the App Store.